Home About Universe Astronomy Beginners Gallery Info Missions Physics Planets Diamond Planets Are More Common Than Astronomers Thought? Diamond Planets Are More Common Than Astronomers Thought? Exoplanets are planets outside Earth’s solar system. In October 2012 Madhusudhan published a paper arguing that 55 Cancri e, a rocky exoplanet twice Earth’s size, is likely covered in graphite and diamond. Astronomers generally believe that rocky exoplanets are composed — as Earth is — largely of iron, oxygen, magnesium, and silicon, with only a small fraction of carbon. In contrast, carbon-rich planets could have between a small percentage and three-quarters of their mass in carbon. (Earth has 0.005%.) Moriarty, Madhusudhan, and Fischer developed an advanced model for estimating exoplanet composition. 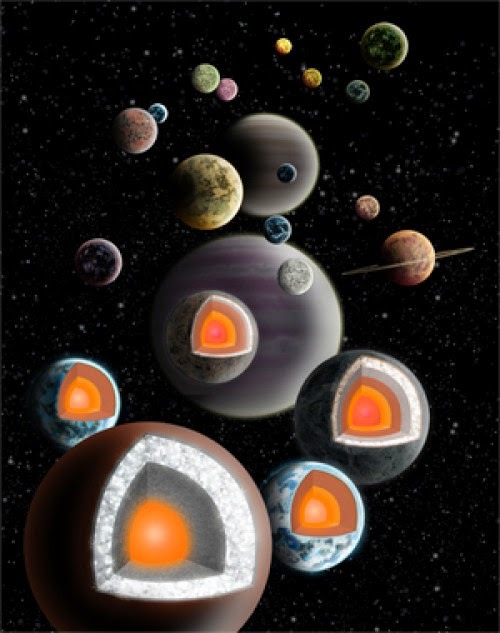 Previous models were based on static snapshots of the gaseous pools (or disks) in which planets form. Their new model tracks changes in the composition of the disk as it ages.